Milestone Church at 42 Elmwood Rd. will have an Open House and Easter egg hunt on Saturday, April 20, 9am – 11am. Their Easter Sunday gathering will be held on Sunday, April 21, 9am at the church’s Wellesley location and 10:15am and 11:30am at their 217 West Central St., Natick location. St. Andrew’s Church at 79 Denton Rd. will celebrate Family Festival Holy Eucharist at 9am and at 11am. Following the 10am service, there will be an Easter egg hunt. Visit our Where to Worship page for locations and websites of First Church of Christ, Scientist; Metrowest Baptist Church; St. John Church; St. Paul Church; UU of Wellesley Hills; Wellesley Village Church (services and an egg hunt); Wellesley Hills Congregational Church (services, egg hunt, and more); Wellesley Friends. Of note: Wellesley Free Library is closed on Easter. 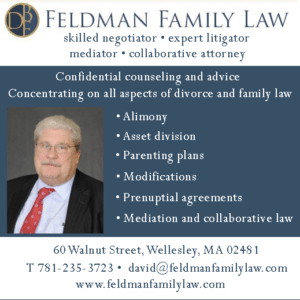 Wellesley community for almost forty years. Our integrated Christian curriculum consists of a variety of hands-on learning activities and experiences planned according to a calendar of themes and units. 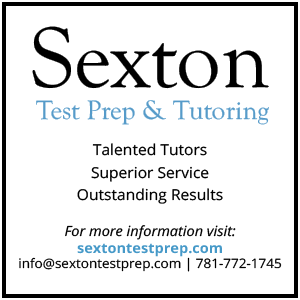 The daily activities include literature, math, science, social studies, and life skills. Enrichments to the children’s education at our school include classes in music, science, yoga, gym, and Christian curriculum. All teaching is child-centered and developmentally appropriate which incorporates daily opportunities for individual as well as group activities, quiet and active play choices, imaginative play, problem-solving skills, literature and both large and small muscle activities. We believe preschool children are active learners who learn through play. 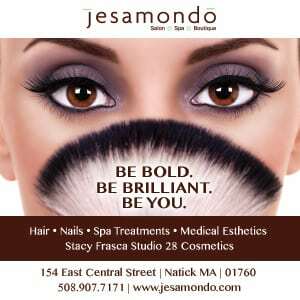 Come see what makes us the “hidden gem” in Wellesley! Interested families are encouraged to visit our website www.elmwoodchristianpreschool.org or call 781-237-5806 to schedule a tour with our Director, Susan Weycker. A child must be three-years old by September 1 to enroll. Do you love rummage sales? Are you looking for bargains? Do you love to find unexpected treasures? WHEN: March 30, 2019 from 8:30am to 1:00pm. For the Unitarian Universalists of Wellesley Hills, spring cleaning season is tied to a favorite event: the annual Rummage Sale. Shoppers are known to return every year, sometimes from as far away as Maine, knowing that they’ll find quality items at low prices. Departments include clothing (for children and adults, with a boutique for jewelry and better fashions), books, home furnishings, electronics, linens, china, sports, and toys. The Treasures room includes art, collectibles, fine china, and the unexpected. The Rummage Sale is a fundraiser that serves many social justice initiatives at UU Wellesley. In a town that appreciates environmentalism, this is a truly “green” event: reusable items find new homes, and the proceeds are used to support the congregation’s programming and outreach. The social justice programs that benefit from the rummage sale include cooking for Bristol Lodge, hosting homeless families through Family Promise, the UU Wellesley Hills Green Sanctuary Team, our UU Partners, and the LGBTQ Interest Group (which was the founder of OUT Metrowest). Stop by on March 30, and invite your friends, too. And also consider donating items to the rummage sale! It’s a great way to downsize, declutter, and give back. Click HERE to make donation arrangements. Starting Easter Sunday (April 21) at 42 Elmwood Road, Milestone Church, which has a location in Natick, will launch Milestone Wellesley. Between now and Easter, the property is being cleaned and prepared for this new Wellesley church. Milestone identifies as a life-giving Bible-based Christian church with big plans to start ten new churches in the next ten years. Elmwood Christian Preschool, which operates out of three classrooms and a playground located on church grounds, going forward will be affiliated with Milestone Wellesley and will not experience any suspension in service. Starting in Fall 2019 the preschool will offer a transitional kindergarten program in addition to their programs for children from ages 2.9. In 2017 Christ United Methodist Church at 2 Brook St., faced with decreasing membership, ceased worship services, with many of its members choosing to go over to a church in Needham. After a short period of no religious activity in the Christ United sanctuary, a new church took over the space and the house of worship is now known as Metrowest Baptist Church. 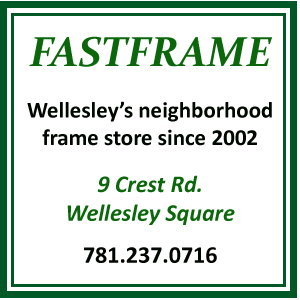 Pastor Dave Melton and his wife Kim Melton have lived in Wellesley for more than fifteen years and raised their four sons in town. Back in 2015 St. Paul School, affiliated with St. Paul Catholic Church at 502 Washington Street, was shuttered, upsetting families who had plenty to say about what they called an abrupt and unexpected decision. St. John School in Wellesley Hills ended up absorbing many of the displaced preK – grade 8 students into its program. Also in 2015, St. James the Great church on route 9 was razed to make way for the Wellesley Sports Center. The Catholic church’s parishioners held vigils for 7-plus years before ending the stay in 2012 as the archdiocese sold off its property to the town of Wellesley. St. James was one of many churches the Roman Catholic Archdiocese of Boston started shuttering in the early part of the century so that it could pay costs associated with its many sexual abuse cases. 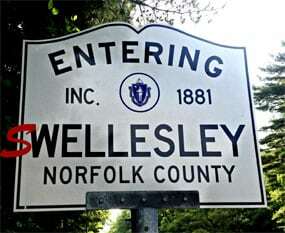 The Town of Wellesley purchased the property for $3.8 million. Wellesley RDF Superintendent Jeff Azano-Brown at the Food Waste Drop Off area, located between two of the trash compactors. Don’t miss this opportunity to talk with Wellesley Recycling and Disposal Facility Superintendent Jeff Azano-Brown about what is new at the RDF including its new Food Waste Drop-Off Pilot Program. Learn about the RDF’s business initiatives and how China’s refusal to accept plastic recyclables has affected Wellesley’s recycling program. All are welcome; please feel free to bring a guest. Co-sponsored by the League of Women Voters of Wellesley and the Unitarian Universalist Society of Wellesley Hills. WHERE: Unitarian Universalist chapel, 309 Washington St.